We provide comprehensive patient care in all phases of surgical and non-surgical endodontics. Endodontics, or "root canal therapy," is one of the dental specialties recognized by the American Dental Association, and our practice is limited to this treatment. We are proud to provide exceptional patient care using state of the art equipment and technology. Dr. James M. Wilson is committed to providing the highest standard of service in a warm, relaxed, and pleasant office setting. He and his staff are happy to answer your questions and discuss any concerns you may have. An endodontist is a dentist with advanced training in treating the diseased or damaged pulp, or soft inner tissues, inside your teeth. Endodontists are specialists trained to save teeth with deep decay, abscessed teeth and even teeth that have been knocked out. 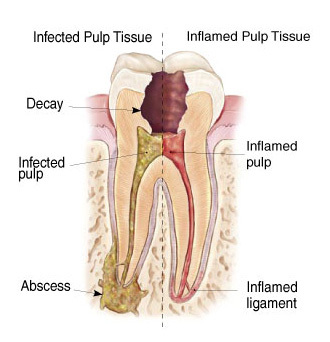 Endodontists remove the diseased or damaged tissue inside the tooth, and clean and fill the remaining space. This procedure is commonly called a "root canal." You might even be referred to this office for retreatment of a previous root canal.